1.4 For the purpose of the Data Protection Act 1998 (as amended) we are the data controller of your personal data. 2.1 We will collect your personal data such as name, email address and telephone number either automatically when you register or as otherwise provided by you to us. All personal data that you provide to us must be true, complete and accurate, and you must notify us of any changes to such personal data. You must not register under someone else’s name. 2.2 You must keep your log-in details confidential. You are responsible for all activity under your Go Beep Beep account. 2.3 When you use the Go Beep Beep system, we may automatically collect and store information about your device and your activities. This information could include (a) your computer or other device’s unique ID number; (b) your mobile device’s geographic location; (c) your IP address: (d) technical information about your device such as type of device, web browser or operating system; (e) your preferences and settings such as time zone and language; (f) how long you used the system and which services and features you used. 2.4 We may also allow advertisers and advertising networks to collect information about your computer or mobile device, activities, and geographic location to enable them to display targeted ads to you. 3.2 We do not share personal data with third parties, except (a) to respond to legal requirements (including under the Data Protection Act 1998 as amended) or to protect a third party’s rights, property, or safety; (b) to any service providers, sub-contractors and agents that we may appoint to perform functions on our behalf and in accordance with our instructions and all applicable laws; and (c) in connection with, or during negotiations of, any merger, sale of assets, consolidation or restructuring, financing, or acquisition of all or a portion of our business by or into another company. 3.3 We may from time to time ask if you would like us to share your personal data with third party providers of services that we think may interest you, including insurance companies. We shall only share your information with such third parties if you provide your explicit consent and you can withdraw your consent at any time on notice to us. 4.1 When you register with Go Beep Beep, you will be offered the opportunity to consent to receive marketing email messages from us. You can choose to no longer receive marketing emails from us by clicking unsubscribe from a marketing email. We shall therefore retain your personal data in our records for marketing purposes until you notify us that you no longer wish to receive marketing emails from us. 5.1 We will not store or transfer your personal data outside of the European Economic Area without your consent. 6.1 A cookie is a small text file containing a unique identification number that is transferred (through your browser) from a website to the hard drive of your computer. The cookie identifies your browser but will not let a website know any personal data about you, such as your name and/or address. These files are then used by websites to identify when users revisit that website. 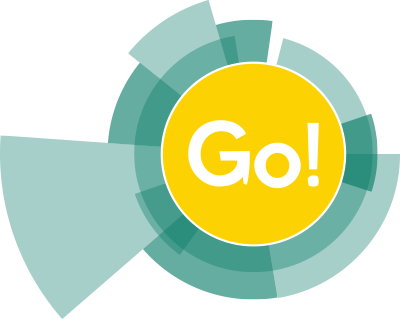 6.3 In particular, the Go Beep Beep website uses essential cookies to facilitate the transmission of communications and for login sessions, and non-essential cookies for analytical purposes such as to count the number of visitors to the website, for first or third party advertisers including affiliates and to recognise returning users for tailored greetings or an optimised landing page. 6.4 We also allow third parties to place cookies on the Go Beep Beep Site, namely Google+ for social media sharing user profiles, Twitter, for Twitter log in and to fetch tweets and Facebook Social Graph for Facebook log in. 6.5 We use Google Analytics to monitor how the Go Beep Beep website is used. Google Analytics collects information anonymously and generates reports detailing information such as the number of visits to the system, where visitors generally came from, how long they stayed on the system, and which pages they visited. Google Analytics places several persistent cookies on your computer’s hard drive. These do not collect any personal data. If you do not agree to this you can disable persistent cookies in your browser. This will prevent Google Analytics from logging your visits. 7.1 We take appropriate security measures (including physical, electronic and procedural measures) to help safeguard your personal data from unauthorized access and disclosure. The technology that we use and the security policies which we have implemented are intended to safeguard your information from unauthorised access and improper use. However, no system can be completely secure. Therefore, although we take steps to secure your information, we do not promise that your personal data or other content that you upload to the system will always remain secure. 8.1 You have the right to obtain from us a copy of the personal data that we hold for you, and to require us to correct errors in the personal data that we process for you if it is inaccurate or incomplete. You also have the right at any time to require that we delete your personal data. To exercise these rights, or any other rights you may have under applicable laws, please contact us at support@gobeepbeep.co.uk. 8.2 Please note, we reserve the right to charge an administrative fee of £10 if you wish to obtain a copy of the personal data that we hold for you.